Looks like you are currently in United States but have requested a page in the Sudan site. Would you like to change to the Sudan site? 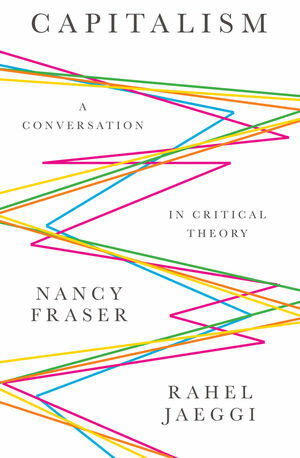 In this important new book, Nancy Fraser and Rahel Jaeggi take a fresh look at the big questions surrounding the peculiar social form known as “capitalism,” upending many of our commonly held assumptions about what capitalism is and how to subject it to critique. They show how, throughout its history, various regimes of capitalism have relied on a series of institutional separations between economy and polity, production and social reproduction, and human and non-human nature, periodically readjusting the boundaries between these domains in response to crises and upheavals. They consider how these “boundary struggles” offer a key to understanding capitalism’s contradictions and the multiple forms of conflict to which it gives rise. What emerges is a renewed crisis critique of capitalism which puts our present conjuncture into broader perspective, along with sharp diagnoses of the recent resurgence of right-wing populism and what would be required of a viable Left alternative. This major new book by two leading critical theorists will be of great interest to anyone concerned with the nature and future of capitalism and with the key questions of progressive politics today.